During your November 18-20 stay at your favorite Romantic Inns of Savannah bed and breakfast, enjoy a weekend of holiday shopping at Savannah's Christmas Made in the South (one of the many popular holiday craft fairs in our area) on November 18-20, at the Savannah International Trade & Convention Center. During this popular event hundreds of skilled regional artists and master craftsmen present everything from popular seasonal decorations, to jewelry, pottery, blown glass, soaps, clothing, and much more! 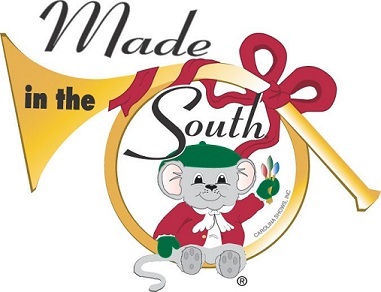 Visit the Christmas Made in the South Facebook page to find out more about the events, and possibly win free tickets. Whether you attend to complete your seasonal gift needs, learn more about your favorite art form from the artisans, find inspiration for your own crafts, or even just "window shop," Christmas Made in the South - Savannah is the ideal way to begin the season of giving! Spend a day at the event, have a wonderful southern dinner, and then return to your Savannah Inn to enjoy a relaxing evening in comfort!